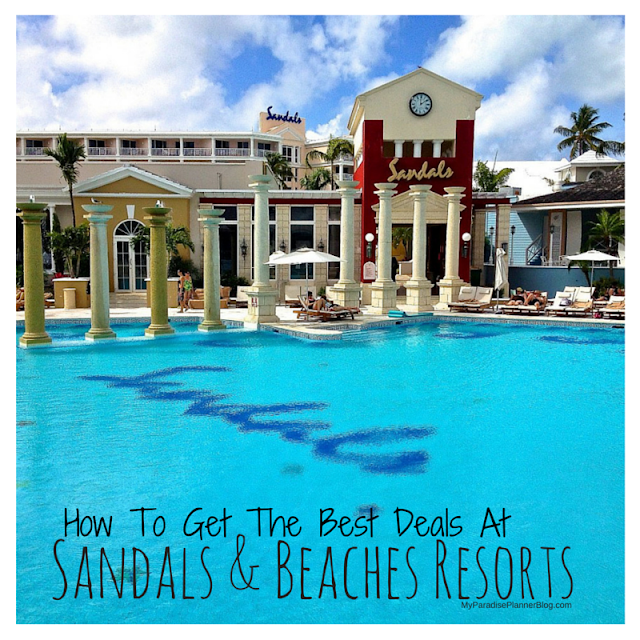 If you love to travel, then I'm sure you have a travel bucket list stashed somewhere. Maybe it's in a word document, or scribbled in a notebook or on the back of a paper napkin. Wherever you keep it tucked away, it's always in the back of your mind. It's become a game to travel to a new destination so you can check it off your list. But, like most people, you're probably limited on things like vacation days and a yearly travel budget. One of the things on my travel bucket list has always been Europe. I have an entire section of my list dedicated to European cities I want to visit. Paris. London. Rome. Venice. Amsterdam. They're all on my list, and if you haven't visited them yet then I'm sure they're on your list too. Of course, my husband and I are young, and just starting out in life. We don't have the money to drop on flights to Europe once a year to see a new destination, and we certainly don't have a month to take off of work in order to see all the cities we want to see in one trip. But what if I told you there was a way to fit all that into one trip? But are river cruises really worth the money? The Boat Moves You - One of my favorite parts of a river cruise is that while you're sleeping at night, the boat moves you to where you need to go. You don't have to rush around airports and train stations to get from place to place. You fall asleep in one city and wake up in another. The Views Are Spectacular - One of the things I dislike about cruising in the ocean is that, until you pull into port, you don't see anything but ocean. It can be pretty boring at times. 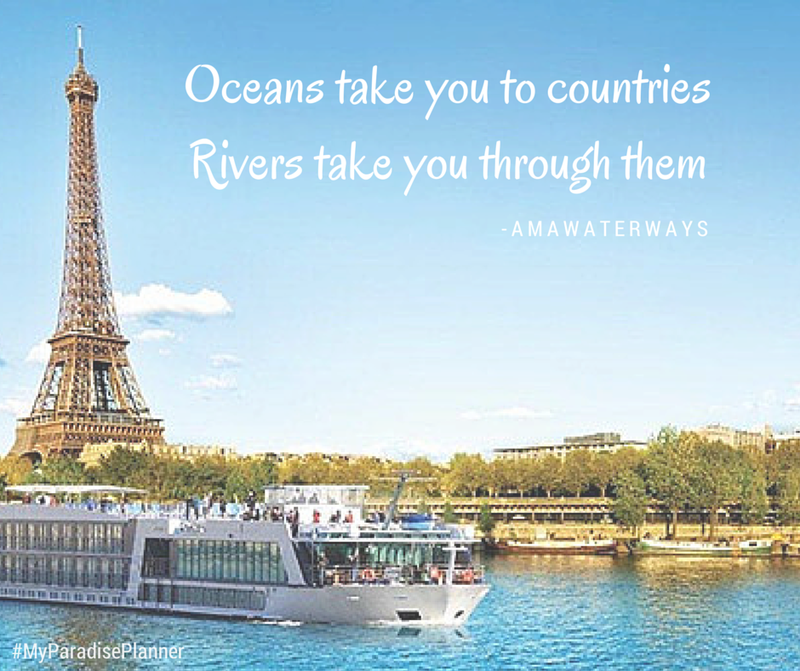 But with a river cruise, you'll see the shoreline at all times, making for amazing views everywhere you go. Another great thing about cruising on a river is that there are no waves, which helps if you're prone to motion sickness. It's Truly All-Inclusive - With river cruising, the amenities and inclusions you won't get on an ocean cruise are included in the up-front cost. This means no hidden charges or large bills at check out. Wifi = included. All meals at all restaurants = included. All drinks = included. A variety of land tours = included. Just add that up on an ocean cruise and you'll be paying big money. It May Actually Costs Less - Raise your hand if you've checked-out on a cruise ship with a bill in the triple digits. Keep your hand raised if you've checked-out on a cruise ship with a bill in the quadruple digits. It's not that hard (or uncommon) to rack up charges on an ocean cruise ship. Let's be honest, the cheap prices entice us at first, but when we check-out, the true cost is almost always a huge slap in the face. The truth is, whether you pay for it up front or at check out, you're going to pay for it. 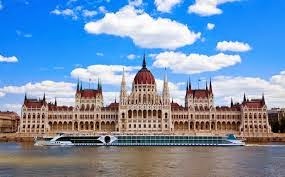 But when you sit down and add up the costs of what is included on an ocean cruise verses a river cruise, you'll find that a good amount of the time, river cruises are cheaper. You See More In Less Time - If you don't have weeks to spend on vacation, then a river cruise is the perfect option for you. You can see multiple locations in one trip, and locations that are all "in land" and would take you more time to see if you were going by plane, train or automobile. You Pack And Unpack Once - River cruises are for people who want to enjoy luxuries and conveniences of home while traveling, but still be able to see as much as possible in one trip. Pack and unpack once through your whole trip. No need to switch hotels in each location. Your hotel goes where you go. It's Smaller Ships And Better Service - On river cruises, there is a staff to guest ratio of 3 to 1, meaning for every guest there are three staff members. A river cruise never feels overcrowded like on ocean cruises. 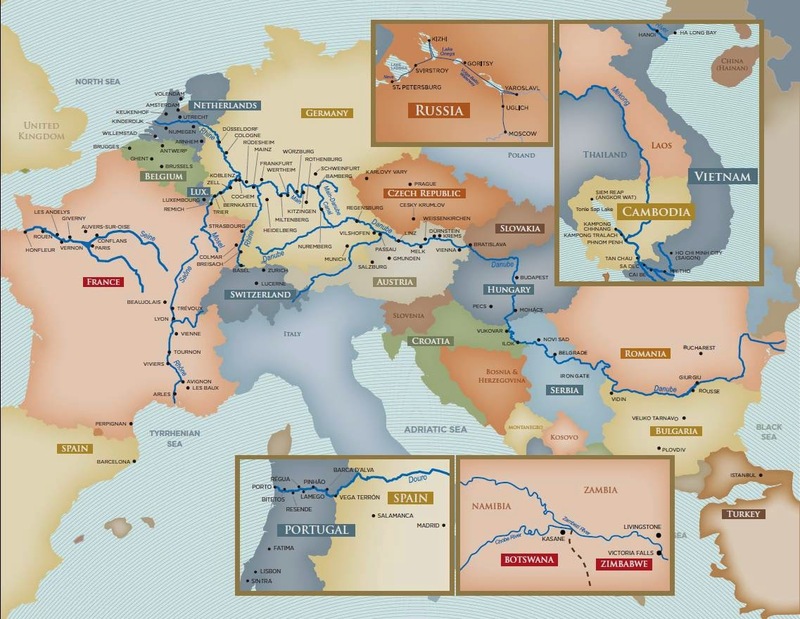 Most river cruises hold under 150 guests during each sailing, which is significantly less than ocean cruises which hold up to thousands of guests each sailing. You Still Get A Taste Of Each Destination - Just because you're on a boat doesn't mean you won't be able to experience each destination after you leave port. For example, if you spend a day in port and by dinner time the boat is sailing, you won't miss out on the local dining. The menus, drinks, and even the on board entertainment will all reflect the port of call for that day. There are so many more reasons why a river cruise may be right for you. 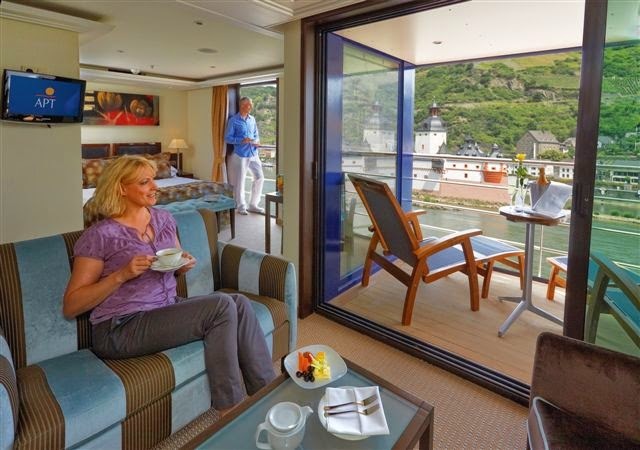 Just take a look at some of these photos and see just how amazing river cruising can be. Forget what ocean cruise cabins look like. These are way "suite-r"
The views really are spectacular from your room. Truly get up close and personal with each destination. Get out there and see the world. Start checking off that travel bucket list. Ready to go? Contact us to discuss options, pricing, and deals. We'd love to be able to help you check off some of those bucket list destinations!